- This framed vintage Chicago road map is hand crafted using an authentic vintage Chicago street map and vintage window. 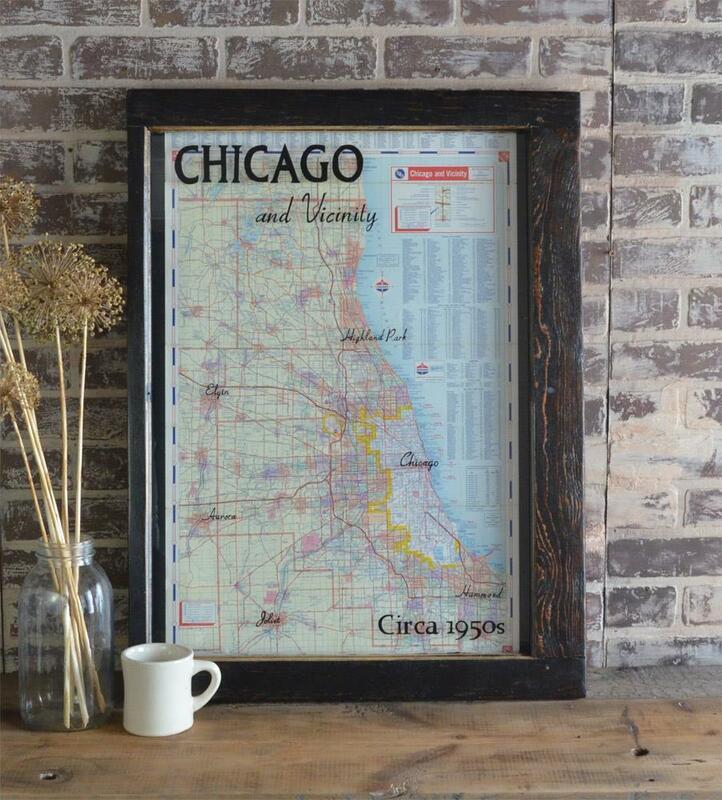 - This old Chicago map will add character to your home. - The title, suburban cities, and estimated date are painted onto the glass, adding character to this piece. - This piece of vintage Chicago history makes a great gift!